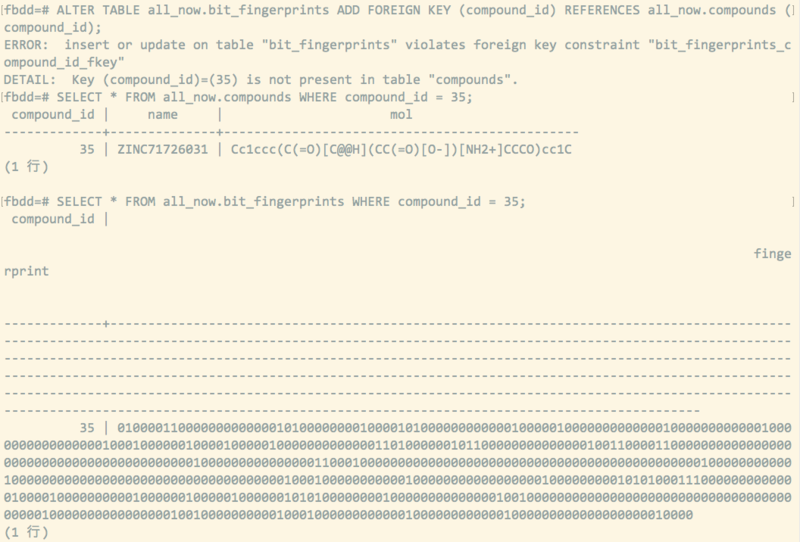 ERROR:  insert or update on table "bit_fingerprints" violates foreign key constraint "bit_fingerprints_compound_id_fkey"
DETAIL:  Key (compound_id)=(35) is not present in table "compounds". DETAIL:  Key (compound_id)=(200013) is not present in table "compounds_200000". DETAIL: Key (compound_id)=(35) is not present in table "compounds".